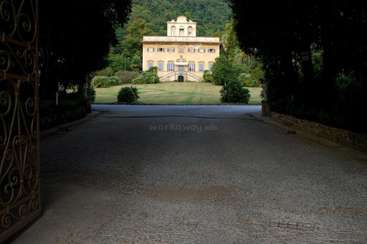 My family is owner of a historical house in Tuscany since 1536, the villa is 7 Km from Pisa and 10 Km from Lucca, close to the Vecchiano beach, inside a nature park. We are looking for a responsible and reliable person who love historical house and would like to stay and sleep from 8:00 pm to 7:00 am inside, to exchange time for a free holidays. Morning and afternoon are totaly free; Monday is a total free day. 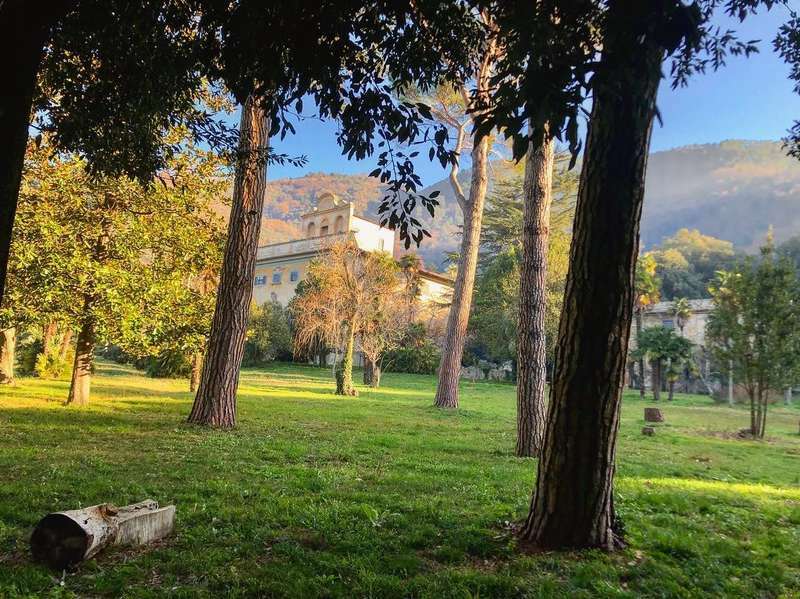 Probably an holiday opportunity if you would like to spend some time in Tuscany (Pisa - Lucca area) for a cultural tourism connected with art and nature, art heritage cities and areas with a particularly high concentration of historical assets and local traditions. We are inside the nature park of the Monti Pisani and the Migliarino San Rossore National Park near the beach of Marina di Vecchiano, requested for several kinds of tourism, such as rural tourism, nature tourism, wild beach tourism, spa and health tourism, art and ethical tourism, trekking and cycling tourism. 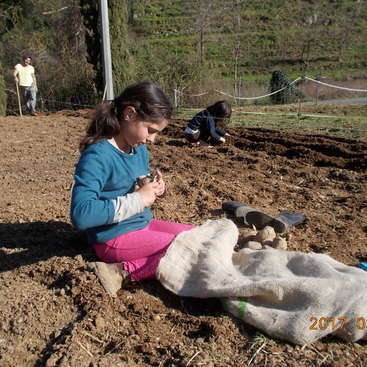 The help is a very small building and gardening bricolage activities. The housesitter will check the eating and electricity system, helps guests (e.g: suggest a place to visit or a resturant, call a taxi, etc. ), verify the doors and gate close before sleeping, clean the garden around the villa, indicate the parking areas to the guests, etc. Following could be a weekly timetable example. In the morning around 1-2 hour (7:00-8:00am) to clean a small garden named "bosco fate", in late evening around 1 hour (8:00-9:00pm) to clean the garden where are breakfast in the morning. Before sleep (11:00-12:00pm) to check gate and door close. We have many events (wedding, gala dinner, etc) usualy, external people manage them. You should help for car parking and welcome guest at the begining of the party (usualy around 5:00-8:00pm). Because events you will not check gate and door close but music and noise will continue untill 3:00-4:00am and you will need ear plugs! Main help is to sleep inside the real estate for security. Your bedroom is close to the villa entrance. From 7:00 am external housekeepers and gardenrs are inside the villa and park untill 8:00 pm and you are totaly free. 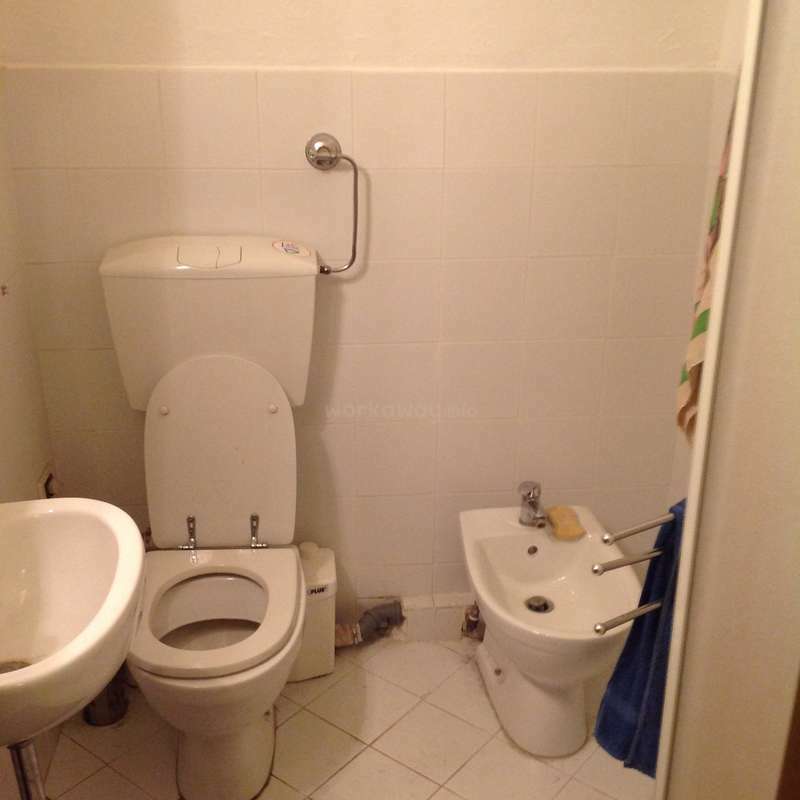 A single room with kitchenette corner and a private bathroom. The room has TV Sat and free WiFi. No meals provided. 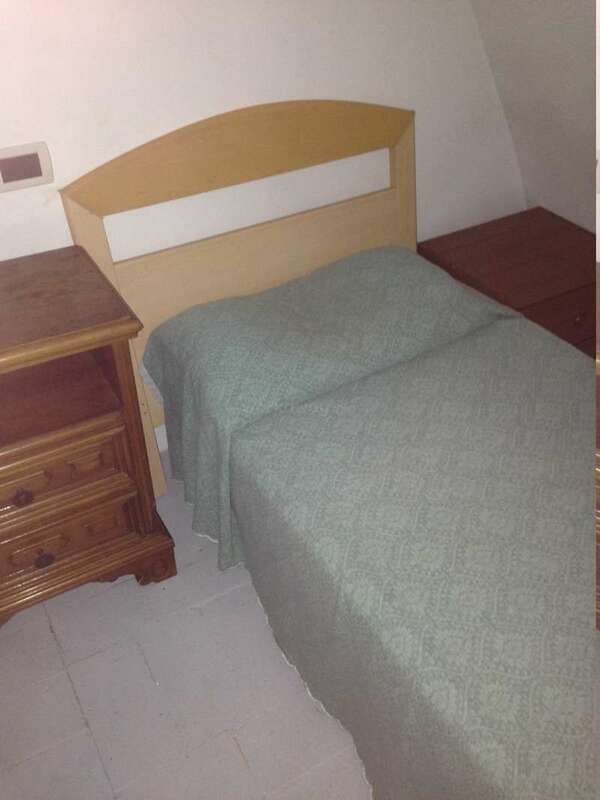 The single room has a corner with 2 elettrical fire, a microwave, a frigo and a sink. A washing machine is inside the villa and you can use it. 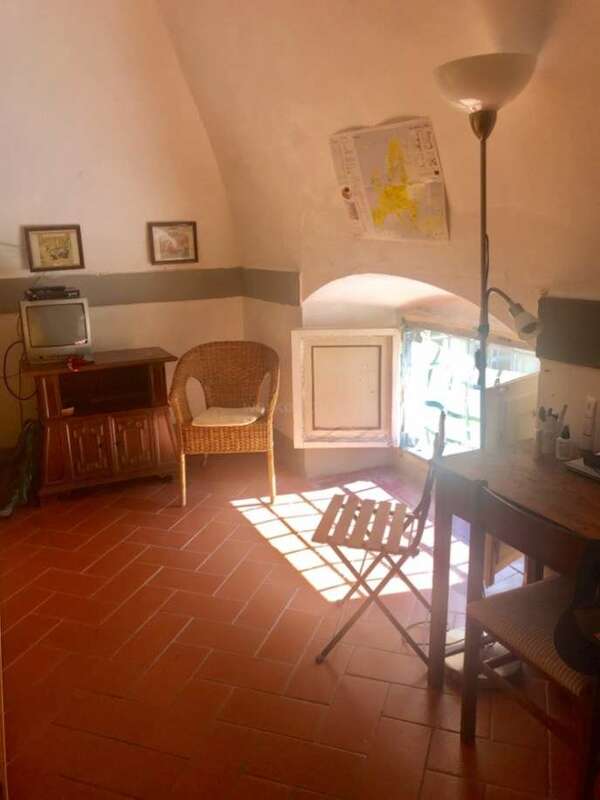 The villa is 1 Km from the village/rail station of San Giuliano Terme (a touristic SPA area), the historical centre of Pisa is located 7 Km away (10 minutes by bus) and the town of Lucca is at 10 Km (15 minutes). In the front of the Villa entrance-gate you will be able to find a bus stop with buses to/from the Pisa station, the Pisa airport and the Lucca station. Shops, supermarket, post office, bank, rail station, ecc are less 1 km away from the villa. You will have a bycicle to reach them. Florence is 60 minutes away, Siena is 90 minutes away, Rome, Milan and Turin are reachable in 3 / 4 hours while Genova and Bologna are reachable in 2 hours. The beautiful Migliarino, Massaciuccoli and St. Rossore park with wild beaches is about 7 Km away, while the sea resorts of Marina di Pisa and Tirrenia are 20 Km away. 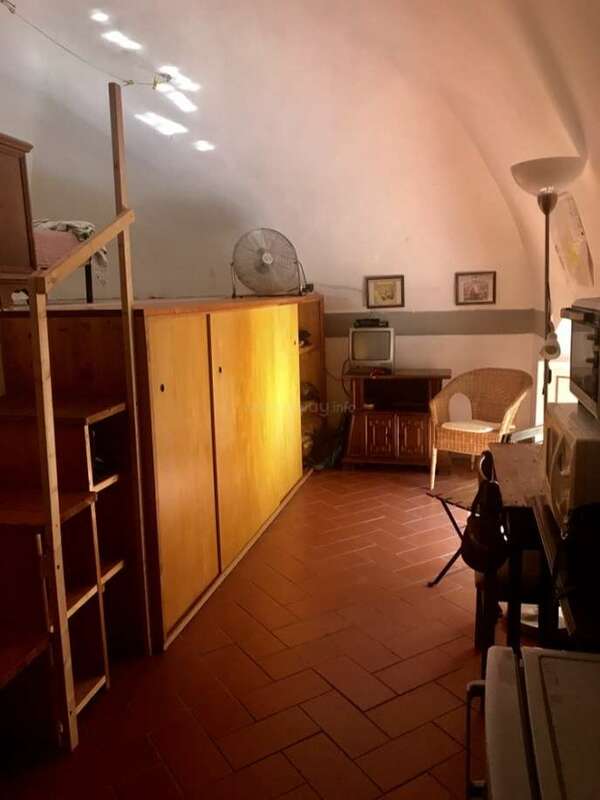 The place is a private italian monument under the Ministery of Art law and parts of the real estate are rented from March to November to two families who manage all job activities for the tourist and the housekeeping. 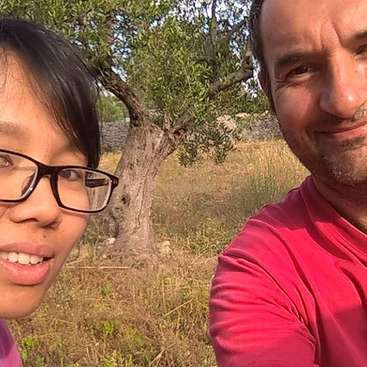 Two external gardeners provide jobs for the historical park. Main help is to sleep inside and checking the monumental real estate equipments and security. No jobs requested. No money compensation. No meals provided. 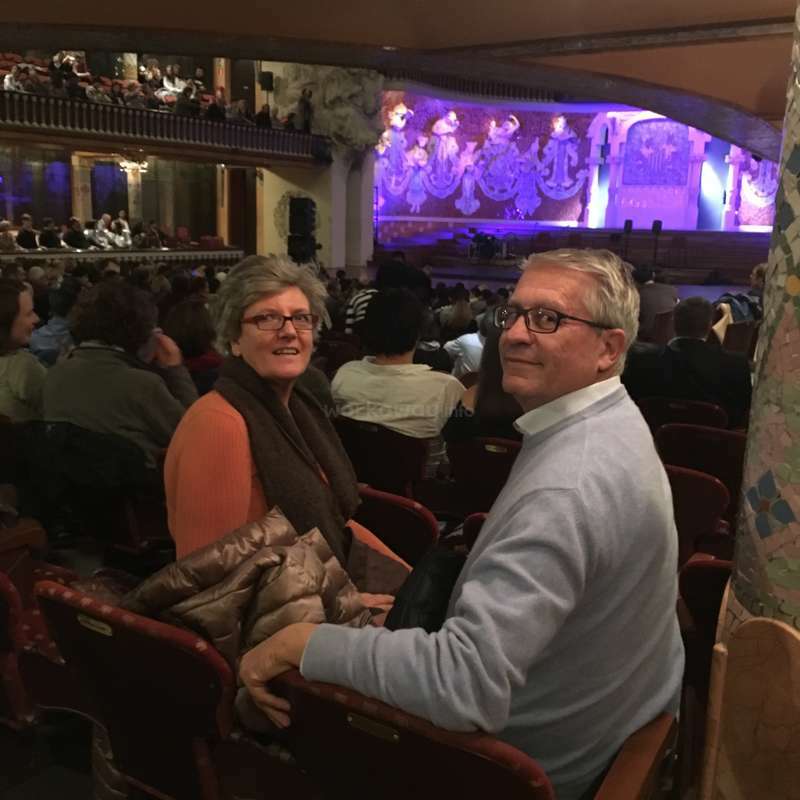 60 years old, married with Rosanna, a daughter Teresa (27) living in Milano, a son Paolo (25) living in Barcellona (Spain). I manage this family historical house since 2005 when I ereditate it (with a lot of debts) from my uncle. I live in Pisa with my wife. The "vestibolo" (entrance), the step after the door goes to your room. 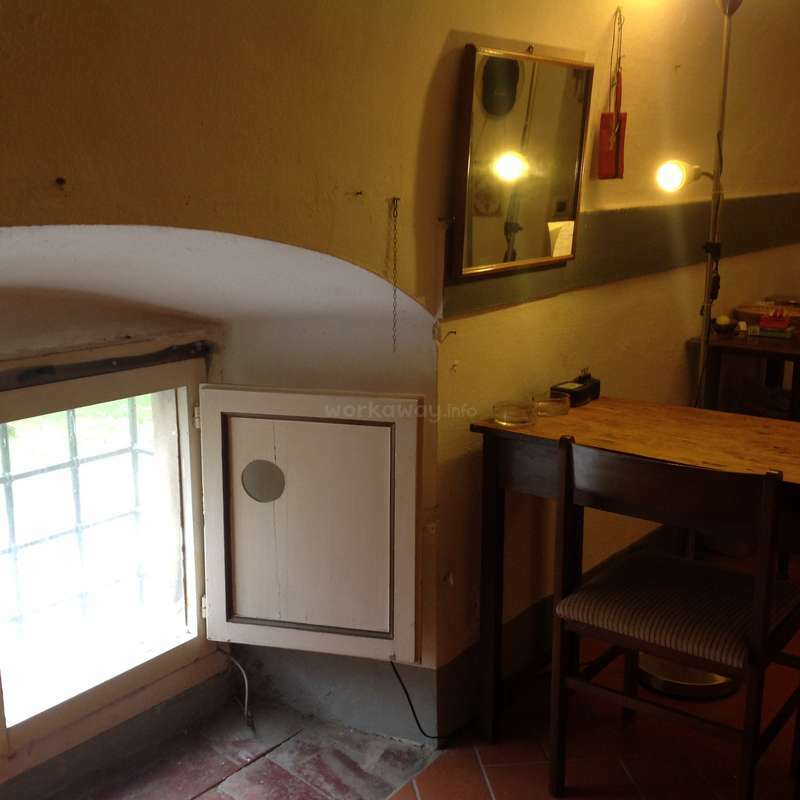 Being able to live in a XV century villa was a great experience. The villa itself, it's beautiful park, and the work were so interesting and also relaxing. During my stay Agostino and Rosanna, cause they were very busy, weren't very present but didn't change the possibility to always count on them. All the people, who work in the villa, were also… read more very kind with me. I also had the opportunity to help in the bed & breakfast located inside the villa. Working in the reception was easy and meeting and helping tourists also nice. Katia is one of the most generous, helpful and wonderful caretaker that we have ever had here. She was very efficient with her job in order to get the work completed in an unbelievably fast amount of time. She was very reserved but it was very interesting to speak a perfect italian and spend time with her. We loved having her here. We hope that… read more she could return one day to visit us again. We are so glad to had Terhi here. She was quickly part of the "villa comunity" and our family. She made possible for us to have a holiday for one month and in this time she took care of the gardens, the cat (Lilla) and the house very well. Thank you for your help at all! 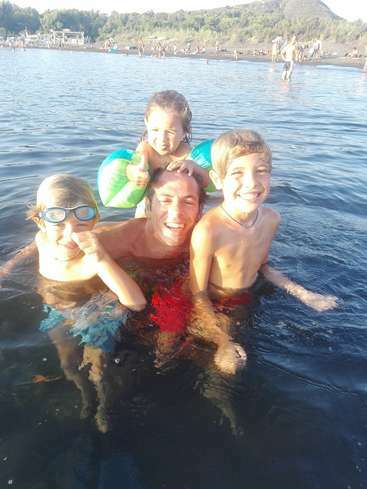 This was my first Workaway experience and it could not have been better. The minute I arrived I was amazed by the beauty of the villa. 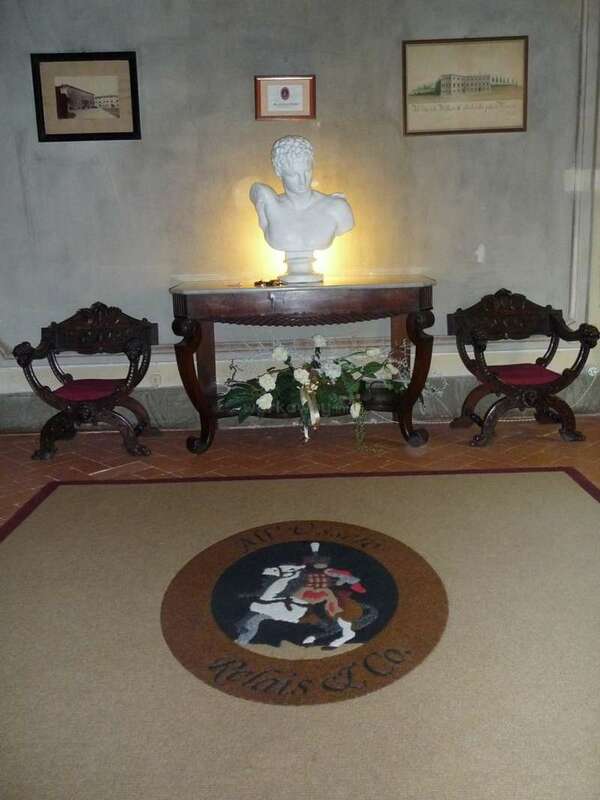 The villa has a special ambience and it is full of history: it felt like a passage to another world. I was also warmly welcomed by all the people in the villa. I spent three sunny months in this wonderful place.… read more The work was easy (watering the flowers, staying at the villa) and there was plenty of free time. 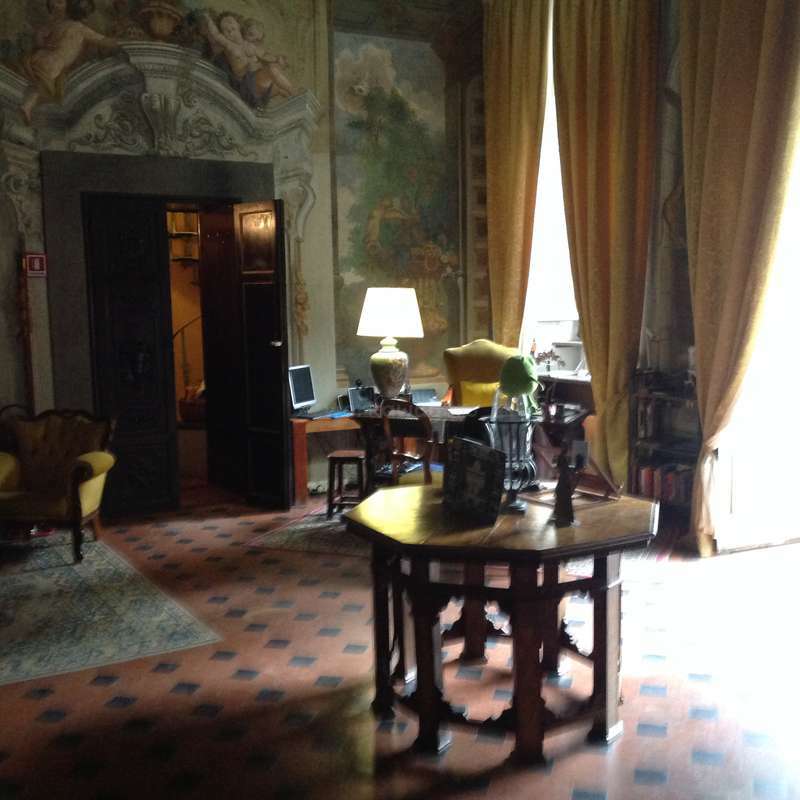 I did not have a car, which probably would have helped to explore the surroundings more but there was a bus stop at the entrance of the villa and I was able to visit many different places with the train as well as there was a train station in San Giuliano Terme and Pisa. There was also a bike at my disposal which I used occasionally to go to the supermarket nearby. I really enjoyed my stay in Villa. I made new friends and I really appreciate how warmly I was treated by everybody at the villa. 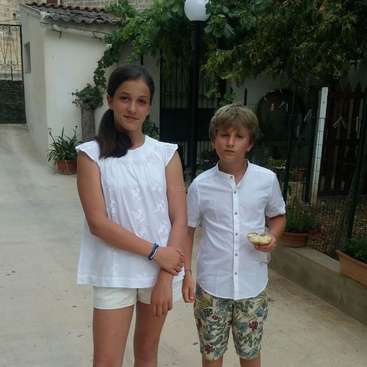 I hosted Claudia at the villa for 3 months. She is an amazing housesitter. I explained a list of things needed for caretaking of the historical villa and I didn't even have to show her the list again because she just saw what needed doing and got right into it from the start. 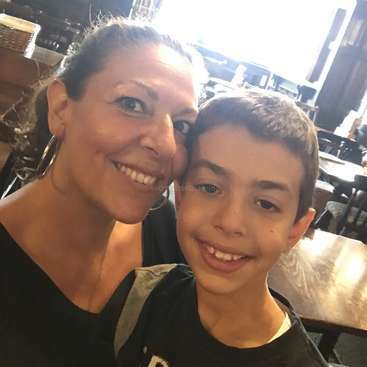 Claudia is been a very independent housesitter/caretaker throughout the… read more whole 3 months. She was respectful of the historical and tourist environment and seem to blend into the day by day life of the villa easly. She suggested me many idea about the iconografic history of the villa fresco because her job experiences, it was a pleasure to talk with her. I hope to guest her again next year. I highly recommend Claudia to other hosts. I spent three months in this Villa and it was one of the most amazing experience in my life. This is the perfect place if you are an indipendent and reliable person, passionate about history, art and nature. 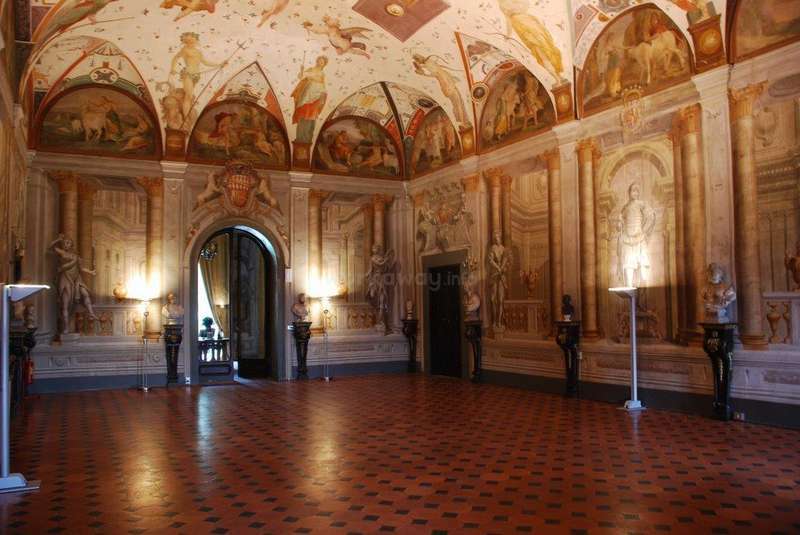 The Villa is a wonderful historical house near Pisa and Lucca and the daily work is very light. You have lot of freetime and you can enjoy… read more it visiting the main historical cities in Tuscany, going to the beach or to the local thermal SPA or relaxing in the private monumental park. My room was well-furnished and I had a very comfortable accomodation. The owners and the staff was always available for any needs. Everybody in the Villa speaks Italian, English and French. A Workaway experience here is unforgettable and I highly recommand it to all the Workawayers that love the real italian lyfestile.